Meet Rupert, our new Technical Support Engineer. 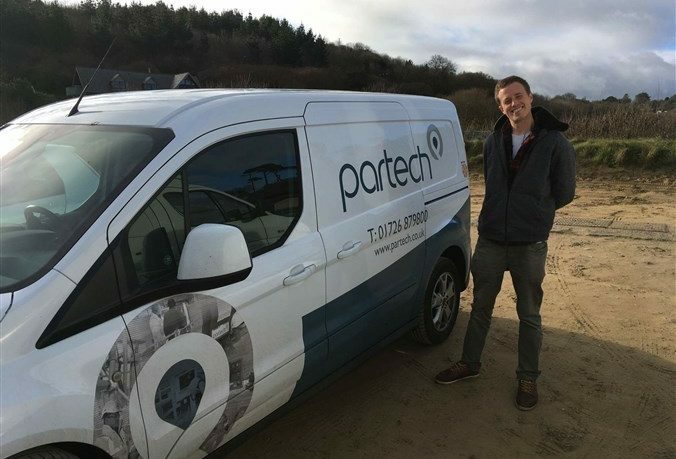 Rupert joined Partech at the start of the new year and is the newest recruit to our Service & Repairs department! As a Technical Support Engineer, Rupert will be busy travelling around the country performing routine servicing and emergency call outs for our customers. He will be assisting with returns and repairing instrumentation when he is based back at head office. Rupert lives in Falmouth and gets the most out of the Cornish lifestyle. In his spare time you will find him surfing (he’s heavily involved in the Falmouth Surf Lifesaving Club) or on some rocks in the middle of nowhere, trying to catch bass! He also manages to find the time to study for an HNC in Electronic Engineering. He joins us from the Oil, Gas and Renewable Industry where he worked around the world as a Geophysical Engineer and was responsible for deploying, running and maintaining geophysical survey kit. Prior to this he worked on the new London Gateway Container Terminal on the Thames as an Oceanographic Engineer, working with buoy based water quality sensors in the marine environment. Rupert’s marine experience began with his degree in Marine Biology and he has also worked on boats and shipyards in Falmouth. Rupert is looking forward to his future with Partech and we are pleased to have him on board and part of the team!